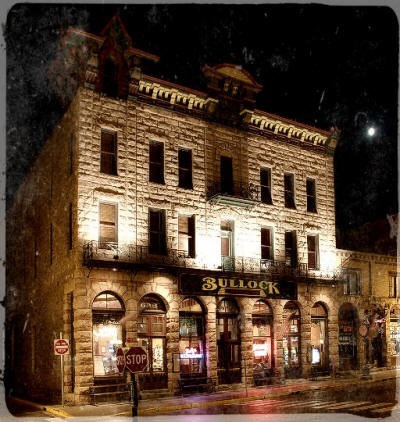 There is a reason the entire town of Deadwood is a National Historic Landmark. You’ll find every building, corner, street and hillside holds some kind of legendary story. A great way to learn all the history of this Wild West town is to take a guided tour with one of our knowledgeable and entertaining tour companies. For an even closer look at Deadwood’s storied past, pick up a self-guide walking tour brochure at the Deadwood Visitor and Information Center. 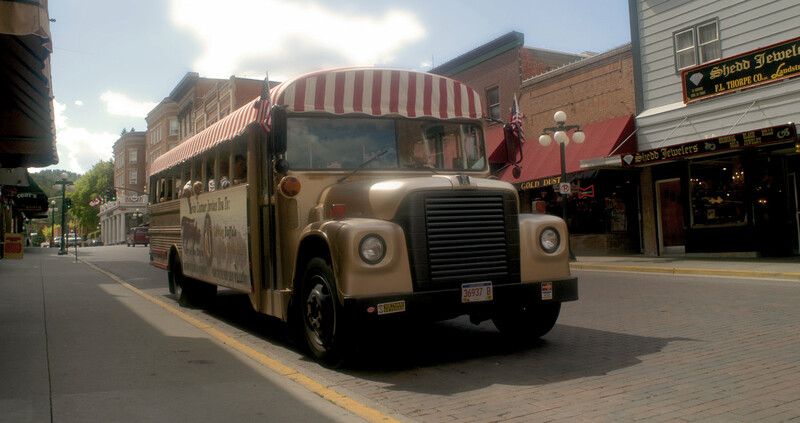 Ride our comfortable air conditioned motor coach through the history of Deadwood’s Main Street, the old homes in Deadwood’s –Nob Hill” then into beautiful Mt. Black Hills Open-Top-Tours could have been named Convertible-Top-Tours, because that is what we offer. During the Fall and Winter months they are Closed for inclement weather. Preferred sightseeing tour of Deadwood and for good reason; great viewing from open air bus and endorsement by Lawrence County Historical Society. 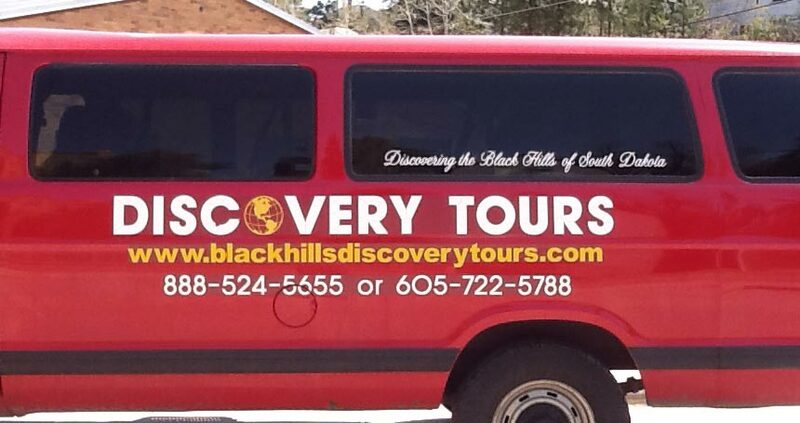 Discovery Tours Services the Northern Hills area, offering Tours and Shuttle transportation. 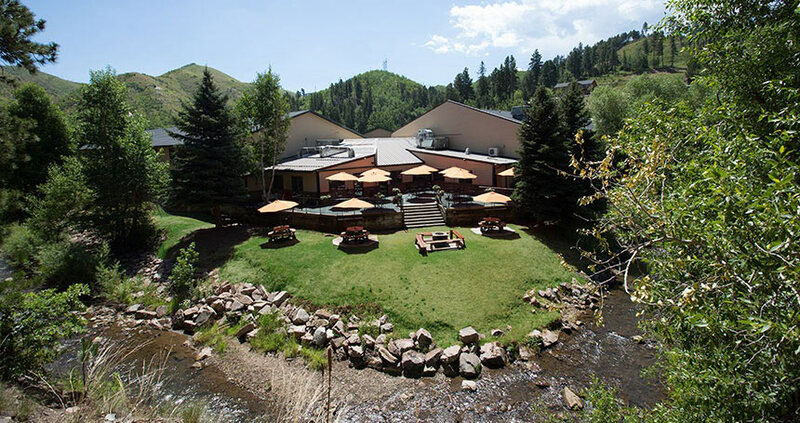 Hotel pickups are available for Deadwood, Lead, Spearfish and Sturgis properties. 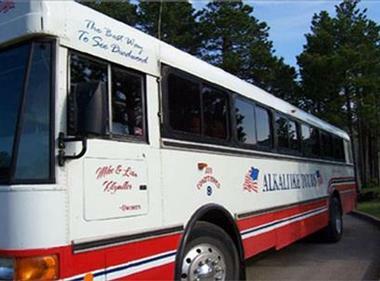 The oldest and foremost tour company. Narrated tour of Deadwood,Tatanka and Mt. Moriah Cemetery. The most informative, entertaining, hour-long tour of Deadwood and Mt. Moriah Cemetery you’ll find! 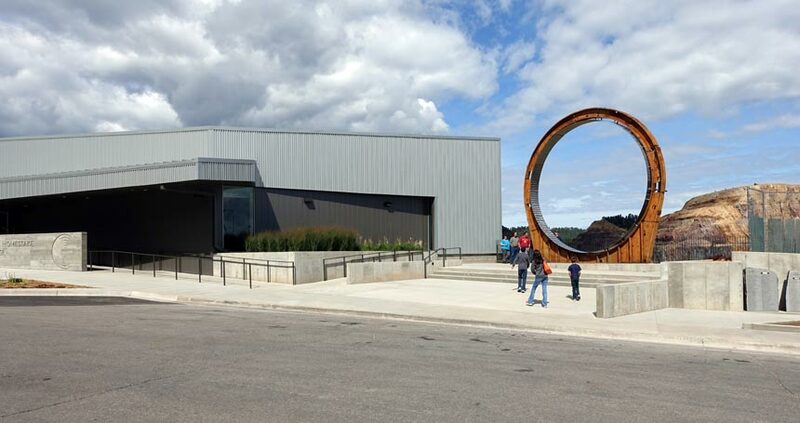 We invite you to visit our exhibit hall, where you’ll find exciting information about Sanford Underground Research Facility (Sanford Lab), the city of Lead, and the history of Homestake.